He needs to go. I can't find the thread but his defense is terrible. Rookie QB and he can't find a way to bring pressure? Is this real? I'm so sick and tired of picking on the top 3 and not winning games. It goes beyond Bowles. Kacy Rodgers is awful. How do you dominate a game like that in the first half and then look lost the second? Also, give some hate Mac's way. This o-line is still god awful. Can't wait to see the PFF grades. Beachum was worse than Flowers through two weeks. The defense was dominating in the first half. Then Buster Skrine got hurt. Once Nickerson got in there, they realized he couldn't cover Landry in the slot and went to a zone. However, the zone was atrocious. Baker literally picked apart the gaps between our LBers and Safeties. Just a joke of a defensive scheme in the 2nd half cost this team. Oh, and Darnold isn't trusted to go downfield. And when he is, he throws INTs. Never wanted to hire him. And I’m always for firing him. And bring in a guy finally that understands the offensive side of the ball. I have more posts about Kacy Rodgers being the worst thing to happen to the Jets than anyone in the forum. He's awful. I can’t listen to one person come on here and defend Todd Bowles. We need to fire him tomorrow. I’m not joking. Every minute that passes with this guy as one HC is wasted time. Who are the possible future HC s we can scout? All I know is it’s time to wipe the slate clean. Bowles needs to go at all costs, if it means Mac needs to go then take Mac with him. We need to go into next off season looking for a complete regime change. A coach who can actually be a HC in the NFL, show the ability to manage a clock and field a disciplined team. A GM who actually pays attention to premium positions and doesn’t prioritize freaking interior linebackers and safeties over tackles, edge rushers and can actually draft a WR that’s actually worth a damn and not cut them a year later. We are going absolutely no where fast with Mac and Bowles leading the way. This regime is done. The problem is guys, Chris Johnson will do nothing, both him and Macc, should be fired. 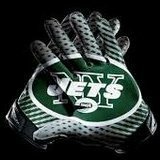 I have no ides what it going to take to get real offensive coach, and GM for the Jets. I have advocated for years there should be 100% inherited tax because of people like the Johnson. Just give defilippo the job. That would make me happy. The guy would be great for Darnold and his offense would be exciting to watch. He would just need to have a good defensive coordinator.